Our new Di Simo Collection features versatility and elegance which meets all your display needs. Several styles of displays are available to create an entire store or just highlight a section. Displays feature slots on both sides for double the merchandising capabilities. Customize your display with your choice of decorative panels. Our 4 exclusive panels are available with a dark walnut wood finish, a frosted acrylic panel, a perforated panel and even a slatgrid panel. Choose from hangrails, shelves, or our unique acrylic bowls and then add hooks, sign holders or even a mirror, all sold separately. 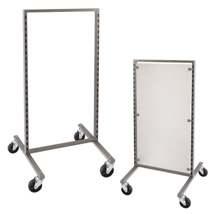 Single display includes casters for easy mobility. 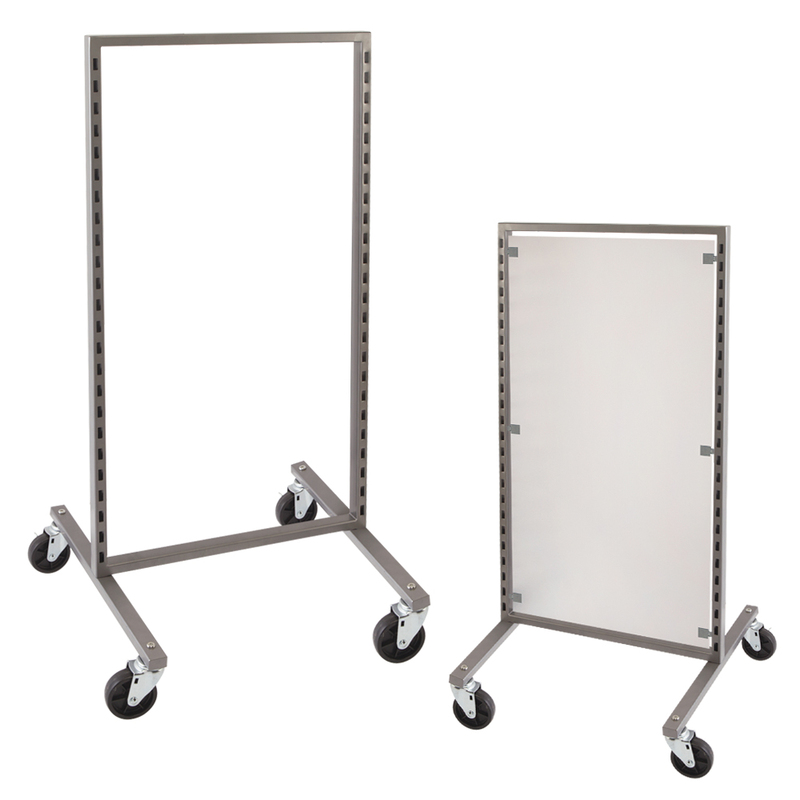 Di Simo Double Sided Display includes frame and casters only. Unit must be completed with panels sold separately. Compatible only with Di Simo fixtures. Check out the Di Simo collection to view more accessory options.